aaron sterns » ‘Wolf Creek 2′ World Premiere – Venice Baby! It’s official. The world premiere of Wolf Creek 2 will be at the Venice International Film Festival, running from August 28-September 7. It’s extraordinary that a horror sequel has made it into such a prestigious event, and points I think to the efforts of everyone to make this a film of exceptional quality. It’s just a shame that I won’t be able to attend, being the lowly writer and all. But that’s our lot, I guess. I’ll have to wait until February next year like the rest of you. We’re just finishing up the final post-production polishing. I made a visit to our sound studio during the week to lay down some ADR for my cameo at the end of the film. I still can’t say what the cameo is, but at least I’m now sure I haven’t been edited out. Quite a weird experience trying to replicate in a sterile studio the emotion and intensity of dialogue on location, but it’s only a few lines so hopefully I muddled my way through. I’ve also been given another set pic from one of my night visits. 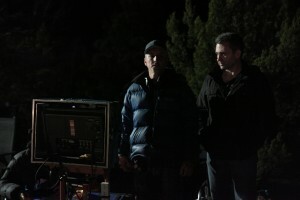 Yes, it appears I’m standing over Herr Director, making sure he doesn’t alter any of my precious words. Because I was. Thanks to Cam Oliver for the pic. It’s been a busy few weeks. Hopefully there’ll be some things to report soon. Amongst it all I managed to do an interview for my good friend Bryce Stevens’ Choking Dog Gazette. It’ll be released in the next few weeks, and I’ll let you know then how to grab a copy, or access it online. It’s my first real interview, covering not only my fiction but also my film work with the Creeks, Rogue, et al, so I’m quite chuffed to have been put on the spot. I hope it’s worth a read. Wolf Creek 2 has been invited to premiere at the 2013 Venice Film Festival for an out of competition midnight screening. “I’m absolutely thrilled that Wolf Creek 2 has been selected to screen at one of the most prestigious film festivals in the world,” said Director Greg McLean. The Venice Film Festival is the oldest international film festival in the world and takes place annually on the island of the Lido, Venice. Trapped in a bloody battle of wits with sadistic serial killer Mick Taylor, a fresh group of unsuspecting backpackers find no mercy in this terror-filled sequel to Wolf Creek. His irreverent attitude towards human life has escalated to a sadistic new level, more terrifying than ever; will anyone escape this gruesome game or has the nightmare only just begun? Written by Greg McLean and Aaron Sterns and produced by Helen Leake (Swerve, Black and White, Heavens Burning), McLean and Steve Topic (Crawlspace), the film comes nine years after the original Wolf Creek hit screens internationally. 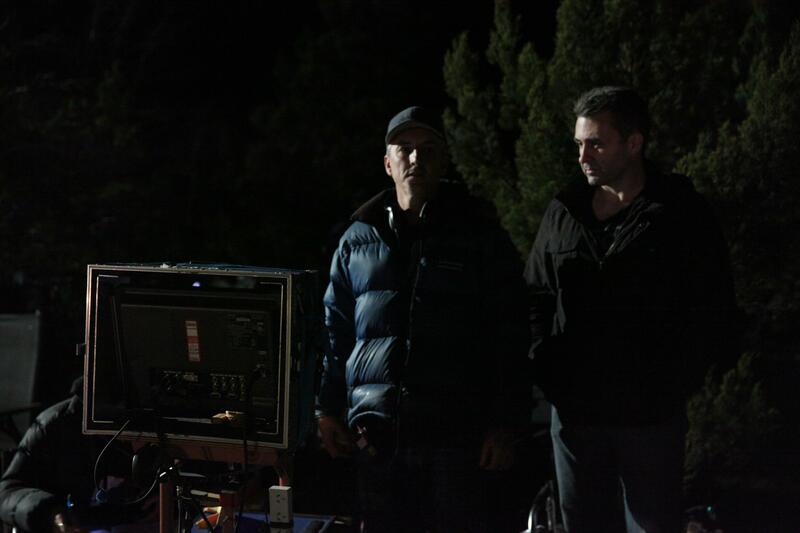 « ‘Wolf Creek 2′ Has a Release Date!